WICKED SENSE – Book Release! It’s finally here: the official launch date for my YA paranormal romance/urban fantasy novel, WICKED SENSE! Vickie designed this cool button! Here’s some info about the novel. If you’d like to help spread the word, this post tells how you can do it with just a few clicks. YA paranormal romance/urban fantasy novel. First book in the Singularity series. Official release date: September 10th, 2012. Winner, 2012 Sandy Literary Contest – 1st place – YA category. Looking for a #ya #fantasy? Add #WICKED SENSE http://bit.ly/NdGMCJ to your #goodreads to-read list! There’s also a Goodreads giveaway: 5 signed paperback copies! This is the day that I have been patiently waiting for over a year now! I am so happy and so insanely proud of you, my friend. Thank you, Angela! I can’t wait for your book release in a few days! Congrats on the book release! It sounds really great! Do you have any other posts that give more of a description that we could share on facebook. This is great for how to share, but I’d love to be able to post to facebook a description or excerpt, or your amazon page or something. And I’m a techno-idiot, so I don’t know how to do that. Hi, Emma! Thank you! I’ve added a blurb to the post. 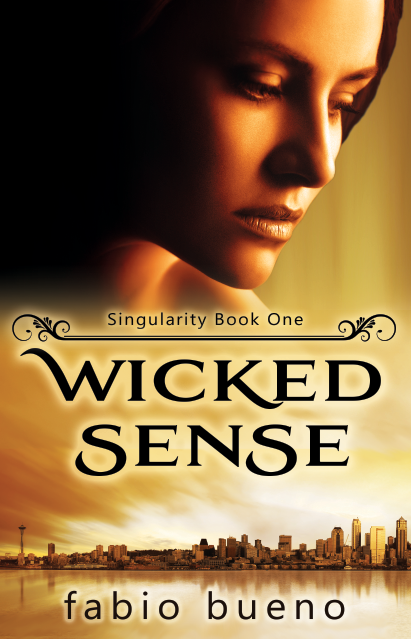 To post the amazon link on facebook, just copy and paste: http://www.amazon.com/Wicked-Sense-Singularity-ebook/dp/B008VY32F2/ to your status update box. This is fantastic, Fabio. I’m so proud and happy for you. Hitting twitter and FB now! Congrats on the release, Fabio! Thanks, Jen, and thank you for all your help! So happy for you, Fabio! Congrats! The world is in for a treat.